A recently appointed employee, who works in the store at a large distribution centre becomes aware of large-scale thefts within the organisation. The employee suspects it is limited to a small group of hardened and long serving employees. The young employee has no idea how far up the management chain the theft conspiracy goes. Fearful and apprehensive about reporting the matters to his immediate superiors, the concerned employee was recently made aware via a noticeboard of the organisation’s misconduct policy, which includes a whistle-blowing service. This service provided the confidence they required to confidentially send an email to an independent organisation, detailing their concerns of criminality. 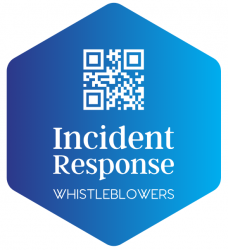 As they never provided their details, the organisations executive management team were unable to contact the whistle-blower, however sufficient details were provided to take action without needing to involve them further.